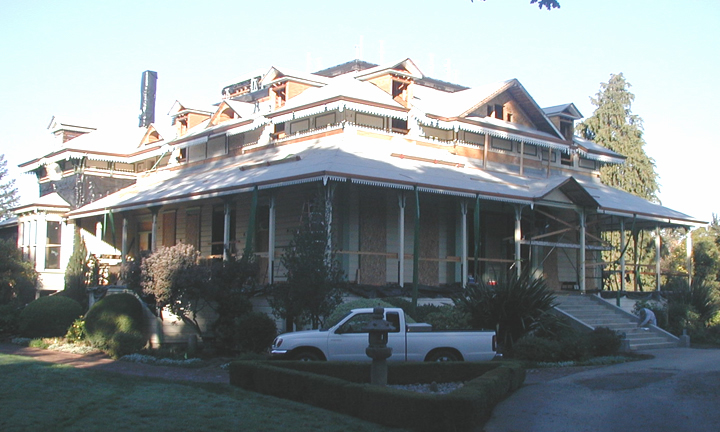 LeDuc & Dexter, Inc. is part of a team of contractors that have been chosen to undertake the ten million dollar restoration of the McDonald Mansion, Santa Rosa’s most prominent historic home. The project began this spring and will be completed in 2010 when owner and telecom executive John Webley and his wife will move in. MastersTouch Construction, Inc. of Santa Rosa is the general contractor. 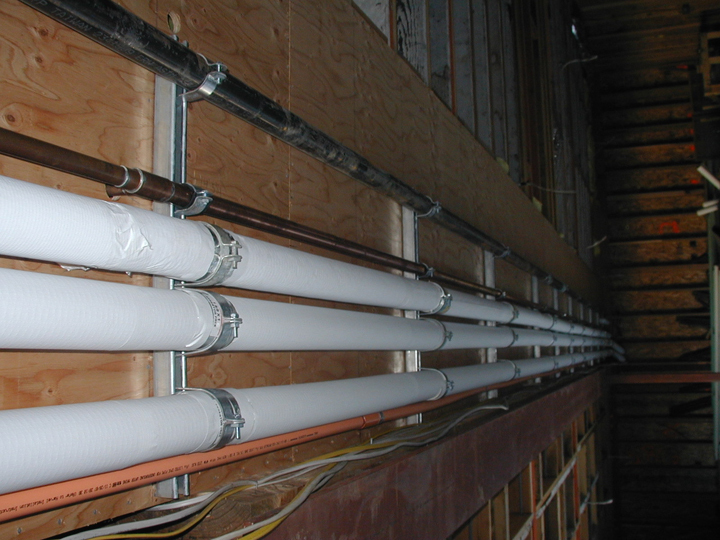 LeDuc & Dexter’s residential department will complete all of the plumbing including radiant fan coil piping for the heating system and chiller piping for the chiller unit located on the roof for the cooling system. LeDuc & Dexter is installing a Lochinvar boiler in the mechanical room to supply domestic hot water. 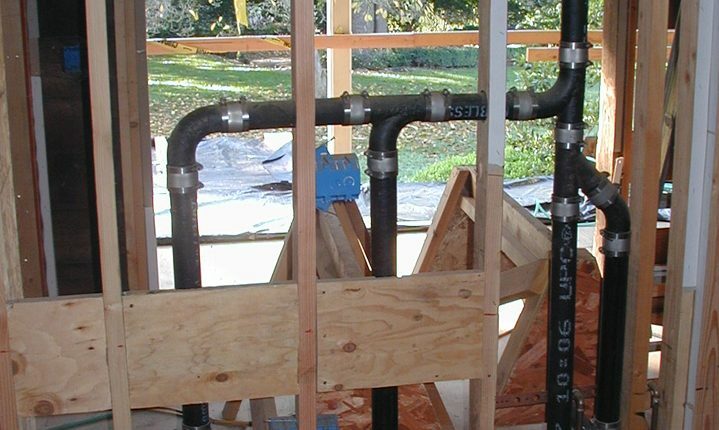 All of the domestic water piping is copper and LeDuc & Dexter is also installing the wastewater and vent piping. 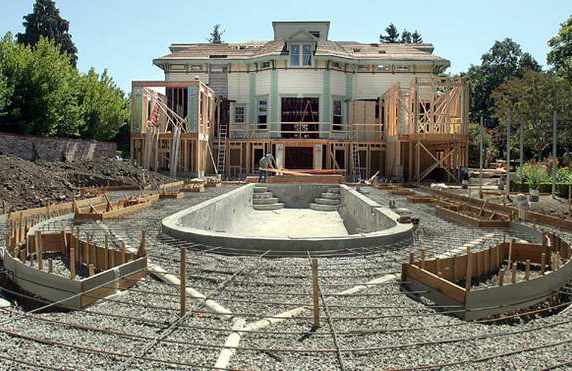 Some of the big changes for the McDonald Mansion include a new foundation, a new roof and siding, an underground garage, a cobblestone driveway, new arbors, a restored gazebo, a home theater and a wine cellar. A 500-square foot addition has been added to accommodate a new kitchen and master bedroom and a 50-foot reflecting pool is being built behind the home. 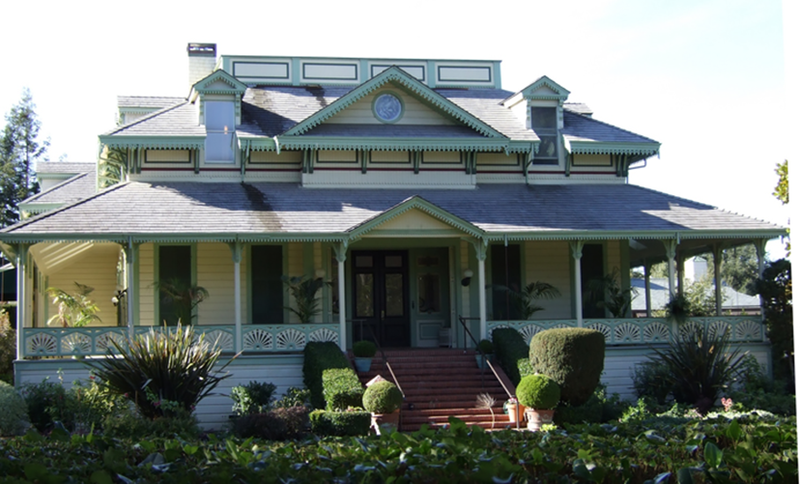 The 14,500-square-foot house was built in 1872 by Colonel Mark Lindsay McDonald, owner of Santa Rosa’s water company, builder of the Santa Rosa Street Railway and one of the town’s most eminent early citizens. He had it built in a style to evoke the plantations along the Mississippi. 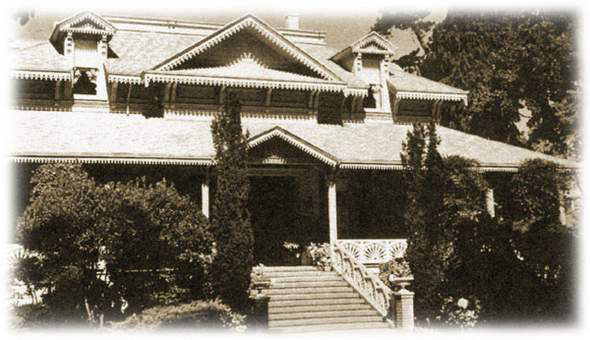 The National Register of Historic Places, in which the mansion is recorded, lists the style as Stickley-Eastlake Victorian architecture.